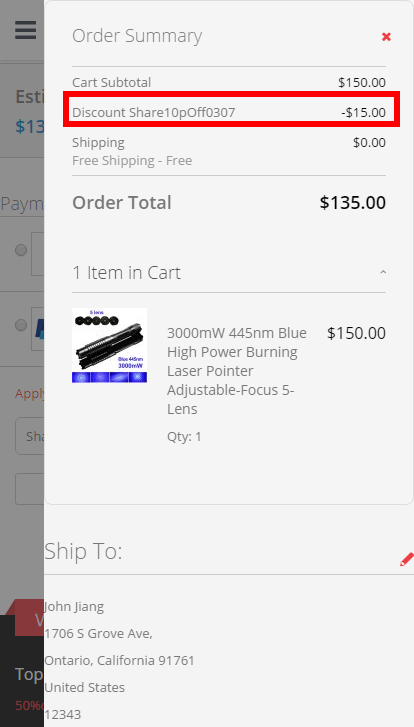 BestLaserPointers is committed to providing customers with the best laser products at best price. We also do dropship and wholesale business, contact us if you want to sell our products. We can offer you the best price, for we are the main partner of one famous Chinese manufacturer. BestLaserPointers.com carries a 1-year warranty on all products for manufacturing defects or product failures. 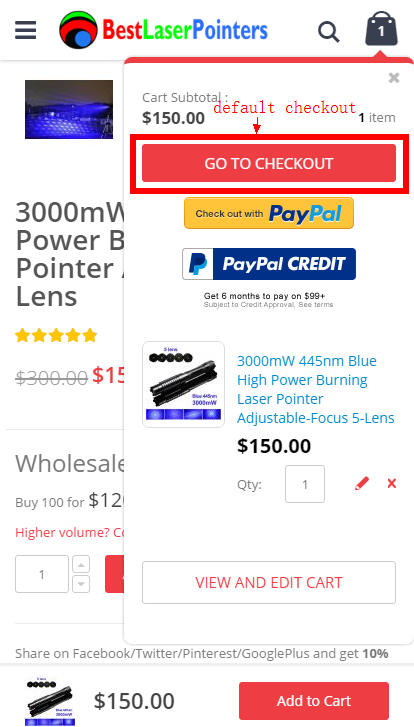 BestLaserPointers.com is committed to respecting and protecting the privacy of those who order from BestLaserPointers.com. Information collected to process orders is only used in relation to those orders. We will never disclose your information to anyone for any reason. When you place an online order with us, you have the option to only receive emails relevant to that order. 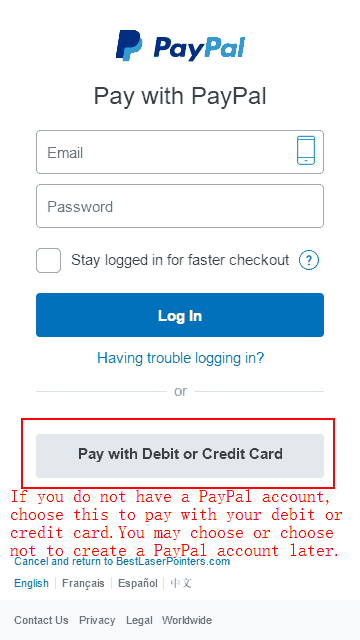 If that option is selected, you will never receive promotional emails from us (or any other source) as a result of placing an order with us. IN ALL CIRCUMSTANCES THE MAXIMUM LIABILITY OF BestLaserPointers.com. 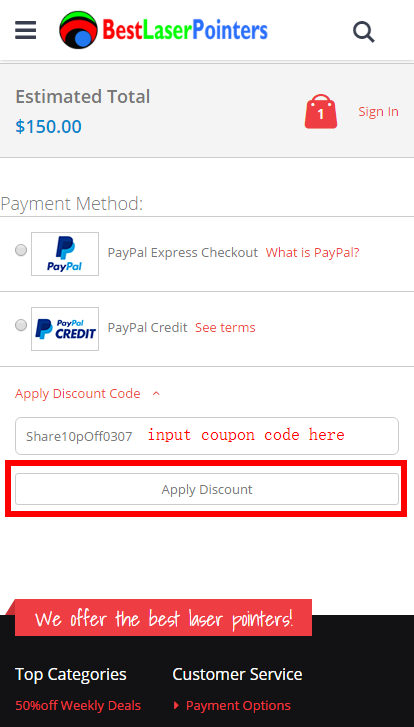 IS LIMITED TO THE PURCHASE PRICE OF THE PRODUCTS SOLD. BestLaserPointers.com. SHALL NOT, UNDER ANY CIRCUMSTANCES, BE LIABLE UPON A CLAIM OR ACTION IN CONTRACT, TORT, INDEMNITY OR CONTRIBUTION, OR OTHER CLAIMS RELATING TO THE PRODUCTS IT SELLS WHICH EXCEEDS THIS LIABILITY LIMIT. BestLaserPointers.com. SHALL NOT BE LIABLE FOR THIRD PARTY CLAIMS FOR DAMAGES AGAINST THE CUSTOMER, OR FOR MALFUNCTION, DELAYS, INTERRUPTION OF SERVICE, LOSS OF BUSINESS, LOSS OR DAMAGE TO EXEMPLARY DAMAGES, WHETHER OR NOT BestLaserPointers.com. HAS BEEN MADE AWARE OF THE POSSIBILITY OF SUCH CLAIMS OR DAMAGES.